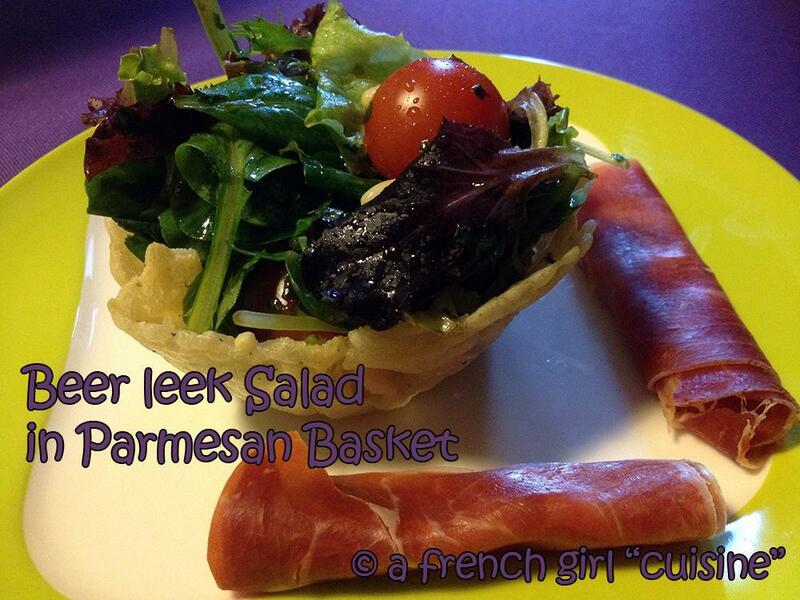 Bear leek Salad in Parmesan basket! Preheat your oven to 200C. Spread two and a half tablespoons of grated parmesan on a greaseproof paper and add some Thyme. Bake for approximately 6 minutes to make your parmesan chips. Quickly upside down the chips in a bowl to give them a basket’s form. Be careful to not burn yourself. Mix the tomatoes with the pine nuts and the washed baby leaves. Chopped finely the bear leek and mix it with salt, pepper, balsamic vinegar and some olive oil.